Launched towards the end of 2011, Skoda Rapid is a stylish sedan that comes with integrated music systems in mid-level and top-level variants. Skoda Rapid Active, the base variant, features 1-DIN aftermarket audio preparation with cable and connector. All other variants- Ambition, Elegance and Elegance Plus- feature an integrated 2 DIN Skoda music system with front and rear speakers. For portable media players there is USB and Auxiliary Input connectivity. Audio controls on steering wheel add great convenience to the driver to access basic features of this music system. Ford Fiesta, a good competitor of Skoda Rapid, comes with audio system with similar features only in mid-level and top-level variants. 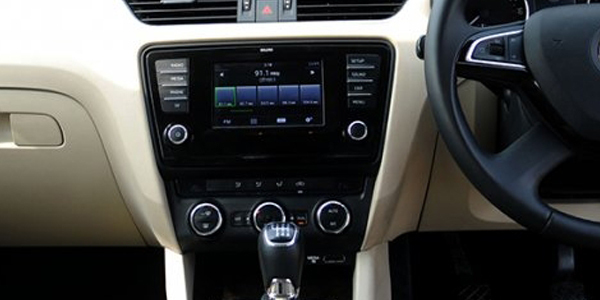 On other other hand, Hyundai Fluidic Verna is better than Skoda Rapid in this feature as it has 2 DIN audio system with 1 GB memory and 4 speakers as standard in all variants. Mid-level and top-level variants of have front tweeter, Bluetooth connectivity and steering mounted audio controls. 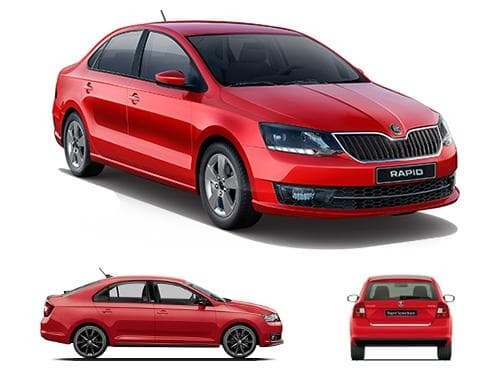 The variants of Skoda Rapid that do not offer music system as standard include 1.5 TDI AT Edition X, 1.5 TDI CR Active, 1.5 TDI CR Ambition, 1.5 TDI CR Ambition AT, 1.5 TDI CR Style, 1.5 TDI CR Style AT, 1.5 TDI MT Edition X, 1.6 MPI AT Edition X, 1.6 MPI Active, 1.6 MPI Ambition, 1.6 MPI Ambition AT, 1.6 MPI MT Edition X, 1.6 MPI Style, 1.6 MPI Style AT, Monte Carlo Edition AT Diesel, Monte Carlo Edition AT Petrol, Monte Carlo Edition MT Diesel, Monte Carlo Edition MT Petrol, Onyx AT Diesel, Onyx AT Petrol, Onyx MT Diesel, Onyx MT Petrol.